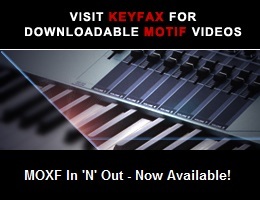 Viewing topic "How do I use MOXF sounds over MIDI from Reason?" First of all, I’m so glad this forum exists. Just had to say it! Now, this may be the last struggle I’m having between MOXF and Reason 10. Is it possible to program MIDI in Reason and play it through MOXF sounds, via USB? I read in the manual that the USB cable works both ways sending and receiving MIDI info. Would someone know how to set this up? As long as you have installed the Yamaha Steinberg USB Driver, it should be a case of adding an External MIDI instrument to your project and making sure to select your MOXF and the MIDI channel you wish to use.